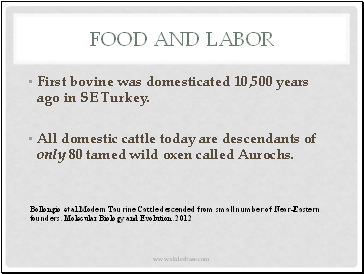 First bovine was domesticated 10,500 years ago in SE Turkey. 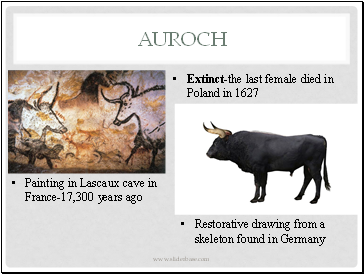 All domestic cattle today are descendants of only 80 tamed wild oxen called Aurochs. Scientists don’t really know the exact ancestor. 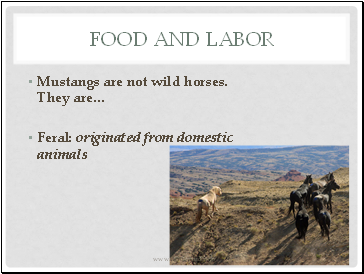 Only 1 truly wild horse exists. 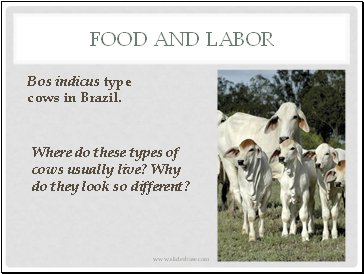 They were probably first used for meat and then for work and transportation. 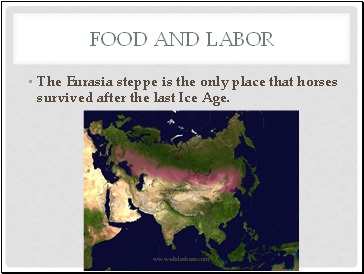 The Eurasia steppe is the only place that horses survived after the last Ice Age. 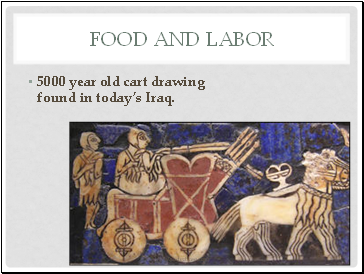 5000 year old cart drawing found in today’s Iraq. The only true wild horse left. 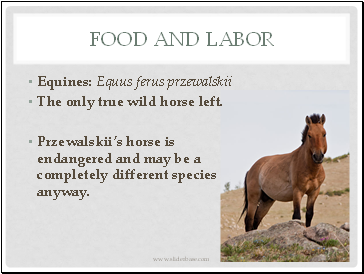 Przewalskii’s horse is endangered and may be a completely different species anyway. 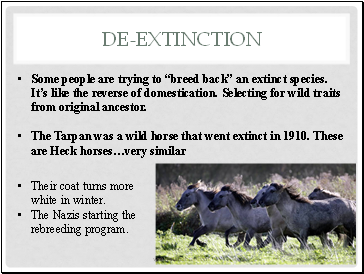 Some people are trying to “breed back” an extinct species. 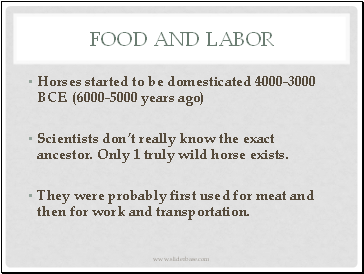 It’s like the reverse of domestication. Selecting for wild traits from original ancestor. 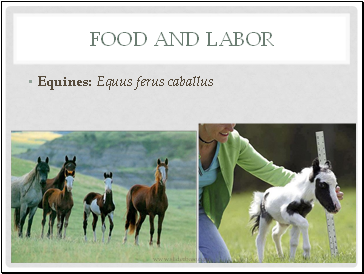 Their coat turns more white in winter. The Nazis starting the rebreeding program. 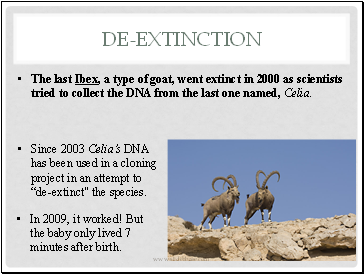 The last Ibex, a type of goat, went extinct in 2000 as scientists tried to collect the DNA from the last one named, Celia.